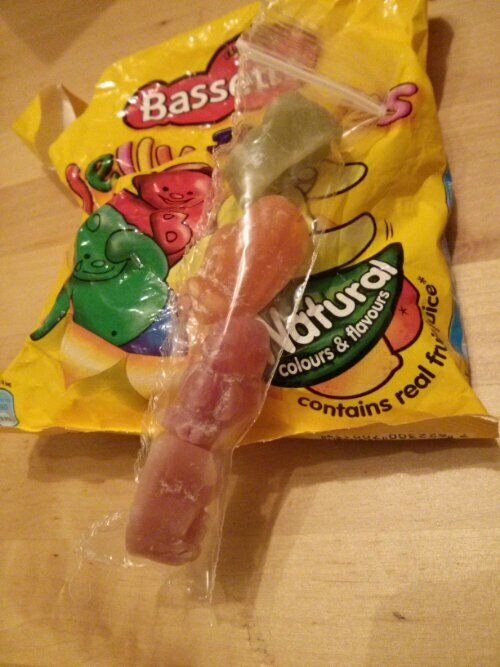 It’s the weekend of the 40th Berlin Marathon and clearly I have too much time on my hands as I have just fashioned a resealable pouch for a few Jelly Babies that I plan on taking round the course. The Berlin Marathon will be my final big race this season, rounding off a September in which I’ve raced every weekend. Last weekend was Born Survivor on the Lake District – a 10k military obstacle course. It wasn’t in the same league as Tough Mudder, but made for a memorable morning with friends running around the grounds of Lowther Castle near Penrith. As far as preparation for the marathon goes, I’m feeling strong so if everything goes to plan, I may walk (hobble?) away from this weekend with a new marathon PB. Right, it’s getting late and I have flights to catch in the morning! Good luck at an amazing race! Awwe thanks I appreciate that!